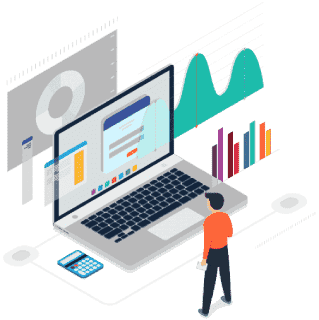 The remote monitoring and management software centralizes the operations of managed service provider (MSP) businesses. MSPs use this tool because it allows them to keep labor costs affordable to clients and operate efficiently. Nowadays, the competition is quite tough due to competition. Moreover, since MSPs can serve their clients even if they are outside the client’s premises, they have the ability to reduce the amount of time they would otherwise spend visiting customer sites. RMM tools may offer prepackaged automation which includes run check disk and give the ability to create customer scripts to automate tasks. Automation and scripts can address IT infrastructure issues before clients learn the problem in their system. This is enabling MSPs to offer customers proactive maintenance that clients will like. RMM products optimize systems. With ITarian remote monitoring and management software, MSPs can use excel using our own RMM tool. They can add additional applications from our partner, Comodo. The applications can enhance the RMM experience even better. Since the ITarian RMM is expected to help MSPs in managing network operational activities of their clients, this also comes with numerous benefits when an MSP tech properly employs this software. An RMM tool helps small and medium businesses (SMBs) with enterprise-level automation and monitoring. An RMM tool helps extend life span of clients' systems and devices because the MSP can prevent system damage. An RMM tool helps enhance the performance of clients' systems because the MSP monitors the endpoints real time. The MSP can alert the clients about their IT system performance whenever needed. An RMM tool helps ensure better end-user productivity because there is lesser downtime during working hours. Also, the employees within your company do not need to pause what they are doing every time there are updates. With few clicks in the RMM tool, the MSP can automatically install updates and applications. An RMM tool helps detect issues before they cause crises or critical system failures. The reports within the RMM software can alert the MSP in case there are emergencies and issues that arise. RMM helps clients get better customer loyalty and satisfaction because their expectations are met. RMM helps MSPs expand their client base and provide better service because an efficient RMM allows MSPs to give good results. 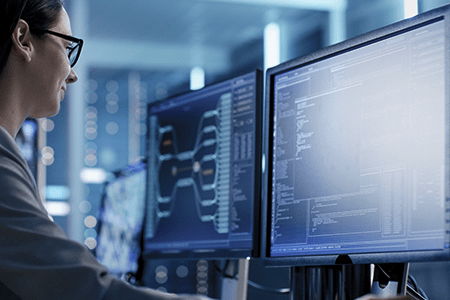 An RMM tool helps ensure optimal network stability as it monitors the entire IT system performance of each registered client on the RMM software. An RMM tool helps MSPs keep client-related issues under control to avoid issues and thereby ensure higher profit margins. With the numerous benefits of remote monitoring and management software, the ITarian RMM tool can be used for free. It is free for life. All you have to do is register through our website. You may also have options to add more applications available in the platform. We hope that you have learned the amazing benefits of the ITarian RMM tools for your business. Even if you are planning to get it for your own IT administrator, an RMM tool can provide you with a huge range of advantages as we mentioned in the benefits section. In ITarian, our RMM tool provides IT management tools like remote desktop monitoring, trouble ticket tracking, support, and user information through a comprehensive interface. RMM aids in monitoring network and computer health remotely. It supports in improving the overall performance of technical support staff and efficient use of resources. It delivers high-quality capabilities and it’s completely free. Do you want to know more about the remote monitoring and management software? We have more to share on our ITarian website. Please visit us for more details.